Walter Poenisch completed his swim from Cuba to Florida, a distance of 128.8 miles, in 1978. He had started several days earlier. The first man to successfully swim that distance, he was observing his 65th birthday! 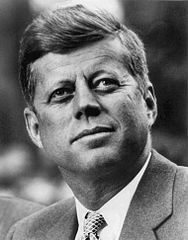 Cuban Missile Crisis began when President Kennedy in 1962 demanded that missiles placed in Cuba be removed. The United States also placed an embargo around the island to prevent other arms entering Cuba. On October 28 the Union of Soviet Socialist Republics started to remove the weapons. Czechoslovakia officially became two countries, the Czech Republic and Slovakia, in 1992. Cuba celebrates Liberation Day. On January 1, 1899, Spain lost control of Cuba. For a time it was under United States rule. It became a country with a republican government until Fidel Castro overthrew the rulers on January 1, 1959. According to the CIA World Factbook, Cuba is slightly smaller than the state of Pennsylvania. Located in the tropical Caribbean region, Cuba can experience both hurricanes and drought. About 11 million people live on the island, and the country exports sugar, nickel, tobacco, fish, and coffee. Havana is the capital. Haiti celebrates Independence Day. It was a Spanish colony from 1492 until 1697. Then it became a French colony until 1804 when it gained its freedom. According to the CIA World Factbook, Haiti is slightly smaller than the state of Maryland. Like Cuba, Haiti is located in the Caribbean. It can experience hurricanes, earthquakes, and drought. Over 9 million people live in Haiti, and Port-au-Prince is the capital. The country, again according to the CIA World Factbook, is the poorest country in the western hemisphere. Idea: Haiti is part of an island. Children could locate Haiti on a map and discuss its neighbor. Sudan celebrates Independence Day. It has been a free nation since 1956 when Egypt and the United Kingdom gave up control. Sudan is about a fifth of the size of the United States. Located south of Egypt, the country lies in a desert region. Over 26 million people live in the country, and most of these people live along the Nile River. Khartoum is the capital. On July 9, 2011, South Sudan broke away and formed its country. Remember the Maine Day dates back to 1898. The United States battleship Maine, anchored in the harbor in Havana, Cuba, was blown up. Over two hundred Americans died, and the United States felt Spain was responsible. The United States declared war against Spain, starting the Spanish-American War, on April 25, 1898. Children can learn more at: Remember the Maine Day.